Itoigawa’s GeoStation GeoPal is Itoigawa’s new Tourist Information Center that’s fun for the whole family! 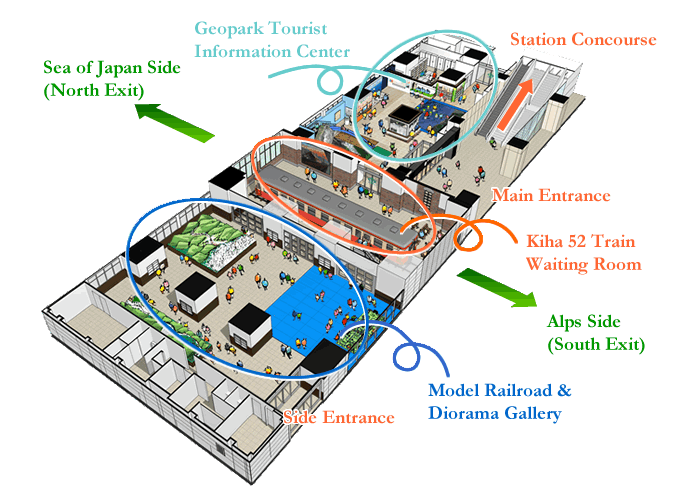 It’s divided into 3 sections, the “Itoigawa Geopark Tourist Information Center,” the “Kiha 52 Waiting Room,” and the “Model Railroad & Diorama Gallery.” Enjoy interactive displays, play equipment and more while learning more about the Itoigawa UNESCO Global Geopark! The name “GeoPal,” a combination of the “Geo” of “Geopark” and the English word “pal,” was chosen from a number of submissions by the local community. The name reflects the new facility’s goal to connect people together through their interest in the Itoigawa Geopark and the new Hokuriku Shinkansen. If this is your first time in the Itoigawa Geopark, start here first! 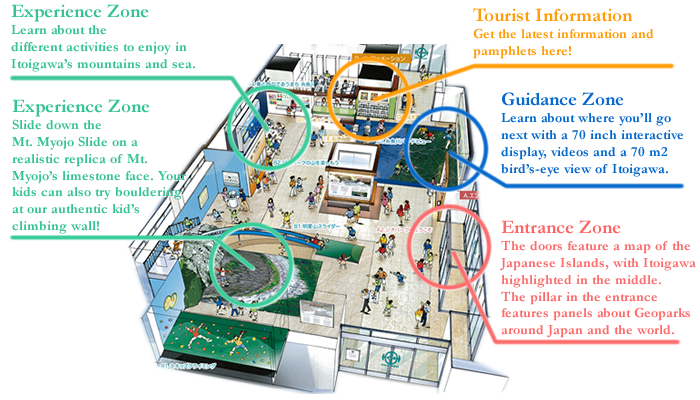 Enjoy learning more about the Itoigawa Geopark and planning your visit through a variety of interactive displays. Guides are waiting at the Tourist Information Desk to answer any questions you might have. The Kiha 52 train on display here actually ran along the Oito Line until March 12, 2010 when the Oito Line trains were updated to the current Kiha 120 trains. 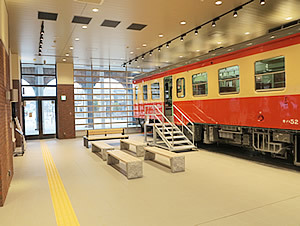 The train has been repurposed as a unique waiting room and the monitors around the train display the local and Shinkansen time tables. Outside the waiting room is a preserved section of the historic brick terminal building which once served as the depot for this train. The building had to be removed for the construction of the Hokuriku Shinkansen Line. 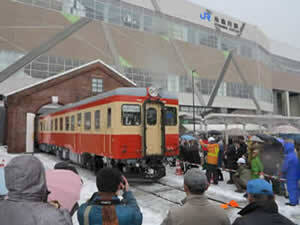 During special events, the Kiha 52 train is moved out of the room to sit in the depot’s arch once more. 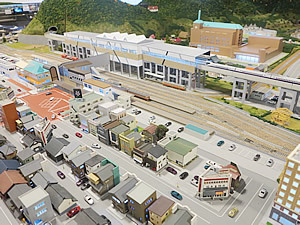 This gallery features two large model railroads and dioramas for the Itoigawa region, the Oito Line and Tokyo. The HO and N gauge trains that run through these dioramas can be driven by visitors with special control stations and cameras. 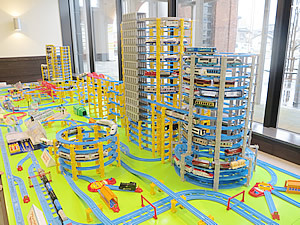 The gallery also features a massive Tomica PlaRail toy train exhibit, fun for children and adults alike! Kids will love playing with our toy train collection in the play corner.